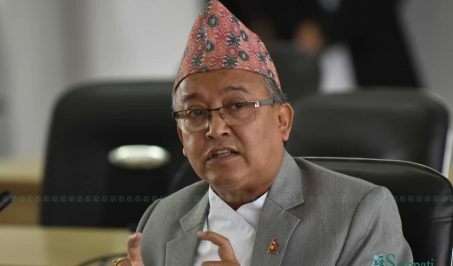 General Secretary of ruling CPN Bishnu Paudel has claimed that the statement of Chairman Pushpa Kamal Dahal on the political developments was drafted on consensus of both the chairmen. 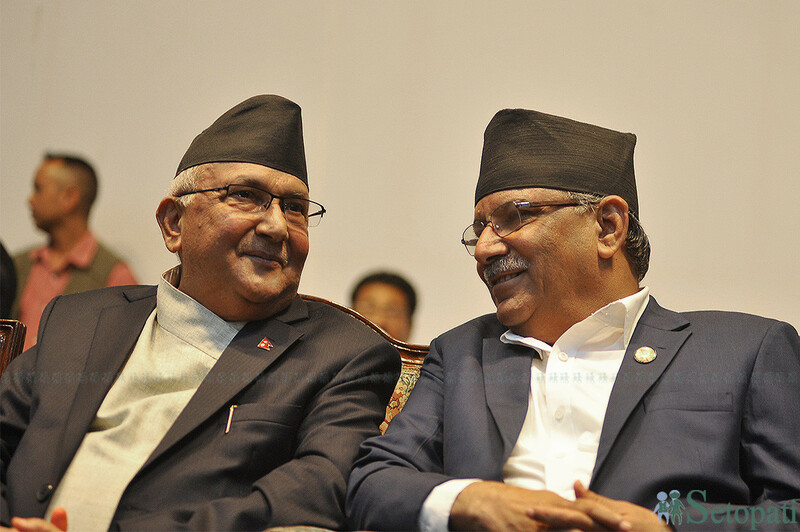 Prime Minister (PM) and another chairman KP Sharma Oli, who was in Switzerland when Dahal issued the statement, has called the statement a faux pas and claimed that such a statement would not have been issued if he were in Nepal then. But speaking in a program in Manigram of Rupanedhi district on Sunday, Paudel claimed that the statement was drafted with consensus of the chairman duo and pointed that the secretariat meeting has already endorsed the statement. 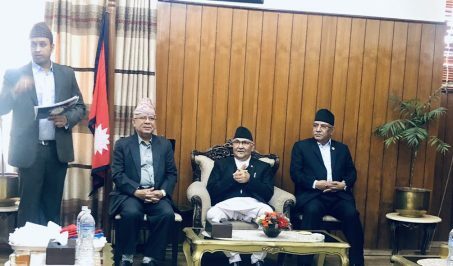 Dahal has hit back at Oli for calling his statement on Venezuela a faux pas and stressed that an individual opinion does not matter when the party’s secretariat has already endorsed his statement. But Paudel claimed that there is no division in the party due to the Venezuela episode. “There have been reports of dispute in the party due to the Venezuela episode but there is no dispute about the issue inside the party. The secretariat meeting has already clarified the party’s position on the issue,” he pointed. Speaking in the television program ‘PM with the people’, PM Oli on Wednesday opined that the language used in Dahal’s statement was not appropriate. Dahal issuing a press statement on January 25 had condemned America accusing it of attempting an imperialist coup in Venezuela and called the intervention in internal affairs of Venezuela unacceptable. Oli also said there was no necessity to issue such a strong-worded statement. “But relationship between countries is not based on a statement by a comrade. This relation has not originated from that and will not end through that. There can be some minor incidents and fluctuations knowingly or unknowingly. That statement of a few lines did not declare a war,” he tried to downplay the incident.